A little more than two and a half *decades* ago, I began my college career at the University of Louisville. I was a young single mother of a two month old; also working a full-time, early-morning shift at a local bakery, attending school full-time in the afternoons and evenings, and relying heavily on the availability and generosity of my aged grandparents (and sometimes parents-both mine and Rick’s) as my only babysitters. It was a heavy, heavy load and I failed miserably under the weight of it all. I continued in that failing misery for a couple of semesters, until I finally came to the realization I just didn’t want a college degree badly enough; and to compound that lack of desire, there were other more pressing matters that required my complete attention, like my now recovering marriage and striving to sustain the healthy balance between working and parenting. So I dropped out of school. The next couple of years were important years of growth for me personally. I got married, almost divorced a year later, was saved by Jesus’s grace, gave birth to another little boy, and became a Stay at Home Mom….in exactly that order. Going back to school had flitted in and out of my mind from time to time, but I needed to be sure I was ready to commit. In the Fall of 1997, I knew the timing was right. My life was stable-and more importantly, *I* was stable. I was desirous of my degree and felt I had acquired the maturity needed to make an honest go of it. I spent the next five years taking part-time classes at UL and acquiring 67 credit hours in the process. One story I often (and proudly) tell my children is of having my third child, Jake, on a Wednesday afternoon, discharging from the hospital that Friday, and showing up for my 8 a.m. Final Exam the following Monday. I got a B on that Math Final, but I was immensely proud of every bit of that B, given the extenuating circumstances! In the Spring of 2003, having just had my fifth child, I knew the time had come for me to conclude my schooling. I wrestled and wrestled with that decision, because it felt so much like quitting and leaving something unfinished. But in the end, I recognized my kids and husband needed to come first. I wanted to continue homeschooling, but that school choice was not going to be conducive to nursing clinicals, which required my full-time work presence. There was no way homeschooling, along with being mom to another newborn, fit into that picture. I was heavy-hearted, but lightened by the freedom that only true obedience and right prioritization brings. The last sixteen years have been filled with the births of two more precious children and the adoption of four medically-needy little ones from China. I was privileged to be my Grandpa’s caregiver, until his health declined beyond my capacity. We’ve travelled with Rick on many of his work trips and cheered the kids on in their vast extracurricular endeavors. When two of my children were walking devastating, destructive pathways that required my complete and undivided attention, I was able to enter into their distinctly unique but equally painful despair in a way that I would not have been able to had my attention been drawn away elsewhere. I’m so thankful for those seasons of great joy and unspeakable sorrow, always intermingled, yet ever and always making us look more and more like our Savior! We will never *want* these things, but we absolutely NEED them in our lives! Today marks the introduction of a new season and the start of, what I hope, is a redemptive chapter in my life. I am beyond excited to tell you all that I have made the decision to go back to UL to complete my degree! I went to Student Advising this morning and made the initial contact with the Financial Aid Office. As usual, my ever-present and faithful hubby was right by my side. I’m so thankful for his unwavering support!! I am declaring my major in Criminal Justice, since I am/have already been employed for many years now in the positions of teacher, elder companion, nurse, social worker, social justice advocate (specifically as it relates to orphan care), caregiver, dietician, etc. Simply being a mother has provided a myriad of real life learning opportunities that a single collegiate degree could never offer. This journey is not so much about a well-earned piece of paper as it is the restoration of the years the locusts have eaten. This pursuit is extremely personal to me. To answer a few obvious questions. NO, I am not interested in entering the job market upon graduation. Yes, I still LOVE being a SAHM to my children. I very much enjoy partnering with CEC in the collaborative education of three of my middle kiddos. I fully intend to bring the Quad Squad home during their middle and high school years and either work with CEC or, for the first time in Kelley kid-dom history, teach them solely at home. The jury’s still out on that one. 🙂 I recognize Benji’s health needs (or something else providentially hindering) may cause this desire to, once again, end in ‘unfinished business’. And that’s okay. But I have a strong sense that *now* is the time and space to pursue this. So I’m going with my gut on this one and praying God’s continued blessing and sustaining providence over Benji. Besides, I fully trust God in His sovereign plans for my life. His Will *will* be accomplished one way or the other. I’m just an instrument in the hands of my Redeemer. But I also know God loves to give good gifts to His children. And how I’m hoping this desire of mine-to make an end of this ‘unfinished business’-is one He’ll grant to me! May He not only grant it, but give the strength to see it through infinitely well and for HIS glory. Amen! Last week, Benji and I made our way downtown to see his kidney doc. It had been a blissful couple of months since we’d seen him last, with only the monthly blood draws to remind us of the seriousness of our dear boy’s condition. He “looks” so healthy on the outside; it’s natural for us to excuse away the little things that begin to creep in and evolve to become his new normal. He fatigues more easily nowadays, the schooldays becoming more taxing. Still, he bounds down the sidewalk at the end of each weekday, a tremendous grin spread across his face-his joy visible for all to see. There’s a rather stern carpool line helper that frequently admonishes him for running. It takes everything in me not to chide HER. If she only knew what a gift it is that he can still make it through all six hours of a regular day, and have the ability to RUN and SMILE at the end of it! But because I hope she is only trying to keep him from hurting himself, I hold my tongue, all the while treasuring these unusual and unexpected blessings up in my heart. But surely, Your ways are higher than our ways and Your thoughts than our thoughts. Our prayers stem from a heart that acknowledges three different levels of outcome: praying with realistic expectations, praying with buoyant hope, and praying for the absolute miraculous. We’ve tried to keep our expectations realistic, with acknowledgment of the presence of fervent hope (that surely every parent possesses). Yet daring to earnestly appeal for a miracle that God would simply heal our boy of his kidney disease-that his life might shine as a brilliant testimony to the saving power of our great God. I am striving daily to align my attitude with this quote…”Don’t cry because it’s ending, smile because it happened.” I never want to lose sight of the sheer miracle that Benji simply being a part of our family is. Expectations are important. So is hope. 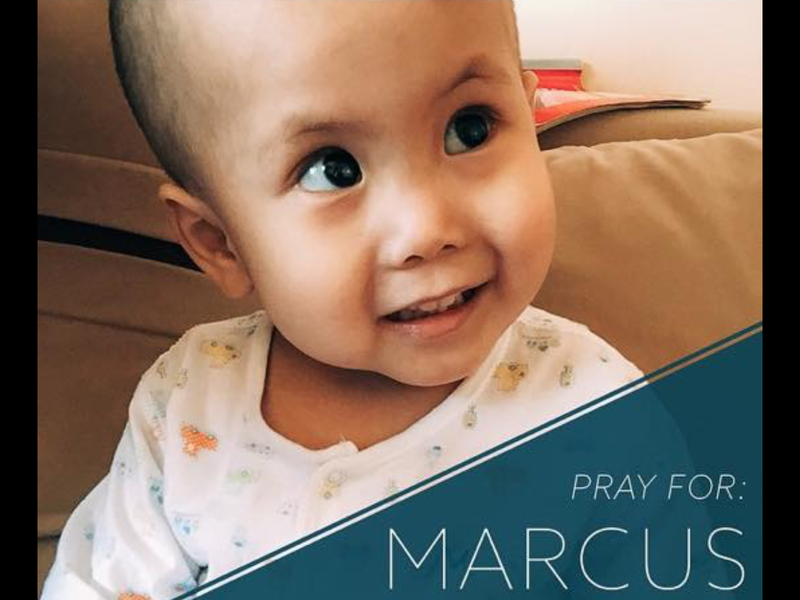 There is one final thing we are praying for: Benji’s potential donor. Benji will be a candidate for donation from a deceased donor, but we are told his outcome can be significantly better if received from a living donor. Please be praying whether the Lord is leading you to consider organ donation. Most of us are born with two kidneys, yet only one is needed to live a full and healthy life. How amazing is our God, our Elohim, to create within our bodies the ability to ‘love our neighbor’ by saving their very life! Several in our family have expressed their desire to be considered, and how we hope and pray ONE OF US can be his donor. But because we are not biologically related to Benji, it’s quite possible we will need to look farther outside of ourselves to find a match. It’s surely a #bigaskbiggive. But we know God is in control of all things…causing the hearts of those whom He may be preparing for this arduous but incredible journey to beat in harmoniously holy tandem with ours. A few pictures since the last blog. Play dough on a cold winter day. Thankfully – he lost his snaggle tooth! We are pleased and excited for you all to meet our newest addition…our miracle boy. 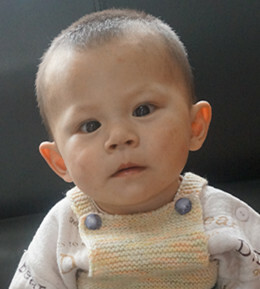 Benjamin was born on April 15, 2012, in Zhengzhou City, China. He and his new little brother, Silas, will share a birthday! How wonderful is that?!! He was abandoned the same day in the lobby of the hospital of his birth. We have expressed in the past that we will never know for sure why some of our children were abandoned. Faith’s and Silas’s stories are especially perplexing. Faith was kept by her birth family for two months before being left at the emergency room of the local hospital. Silas seems to have been born with fairly mild special needs…most likely, prematurity and an umbilical hernia. 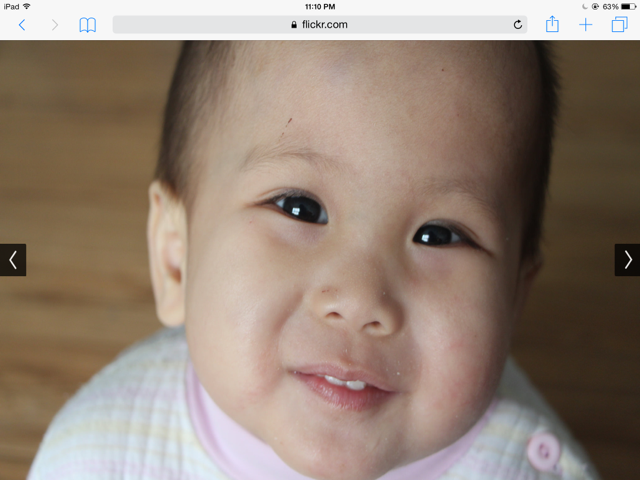 We are fairly confident though that Hope’s birth family had to give her up due to her being born with Spina bifida. That defect would have been very obvious at the moment of birth, and the surgery quite expensive. We are certain that it was a most loving choice that her birth family made for her. We have chosen, for now, to keep most of Benjamin’s special needs private. The reason is that our mindset has changed since we first entered the world of adoption. We now feel quite strongly that his special needs pertain to his personal medical history. And that history should be *his* to share…not ours. We can say that he has six special medical needs…any one of which would be difficult, even if it were the only one he had. But our little boy has six special needs. The most critical of which, is that he was born with a single kidney. And that kidney is failing. He has been diagnosed with Stage 3 kidney disease, and it is slowly killing him. We have been advised that he has a 1 1/2 to 2 years at most to live, if allowed to continue to reside in the country of his birth. For that reason alone, we are trying desperately to medically expedite his adoption. We are praying that all of Benjamin’s paperwork will catch up to Silas’s and that Rick can still travel to China by the end of this calendar year. We covet your prayers for our precious boys! His developmental report ends with this final statement. “Zheng Lian Min is a great child and we all really like him. We hope that he can quickly find a loving home and a father and mother that will give him a happy childhood and a beautiful future. We are confident that he will bring bundles of joy and good fortune to your home.” Oh precious boy. Though we did not find you very “quickly”, we found you in God’s perfect timing. And how we long to be your father and mother! But we want Benjamin to know this…there is a Father that will give you an even better hope and future than we can provide. We can’t wait to tell you all about Him. And how obvious it is, just through the story of us being permitted to adopt you, how very much He loves you already. He has given us a most wonderful gift…a precious bundle of joy that blesses us immensely just by being OURS! 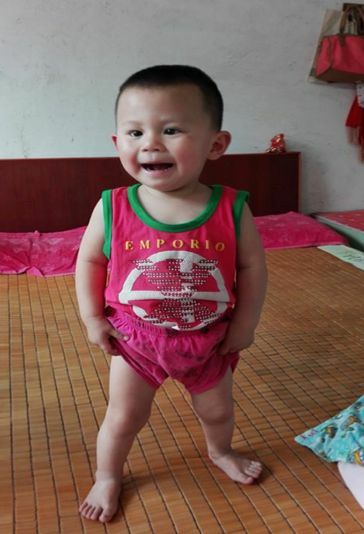 Silas was born on April 15th, 2013, in Zhengzhou City, China, in the Henan province. He was abandoned in a local park, found by the police, and brought to the orphanage on the same day. He was preliminarily diagnosed with brain damage, and has since been found to have a heart murmur. He was in the orphanage for approximately seven months before being transferred to a loving, foster family, where he remains to this day. His birth name, Zheng Fu Lin, means “blessing” and “forest or woods”. He is indeed, our little “blessing in the woods”! He is said to be an active and energetic child, who loves to smile and is quite charming. He gets along well with others and likes to play with other children. He loves to play with toys and is especially interested in sounds. He initiates hugs. He likes to listen to music, and my particular favorite (not really), watch TV. When he wants to watch TV, he goes to get the remote and hands it to the foster mom or dad, so that they can turn it on for him. We’ve been most encouraged with how loved he is in his foster family. I can’t help but think he will grieve much, but adapt quickly, once we meet him in China. How I would love to maintain contact with these beautiful families that cared so well for our children before we could get to them! But, although some are granted this unique privilege, it is not a practice that our agency generally encourages. And though, at times, we are tempted to seek out our childrens’ beginnings, we resist giving in to that temptation. We would never want to do anything that would endanger other families being able to bring their children home through international adoption. A U.S. medical team visited many of the kids at the Zhengzhou orphanage in July 2014 and our Silas was one of the lucky ones to be evaluated. The doctor that looked him over, himself an adoptive father, had this to say about Silas: “Our impression is that he is very small, but happy and interactive. The neurological exam is normal, and developmentally, he falls within the normal range. He still has the heart murmur upon exam. In general, he looks good with the exception of being small. And he will need an opthalmology evaluation for his estropia.” Wow!! That is really wonderful news! We will never know why Silas was abandoned. Because the birth of sons is so highly valued in China, we must believe that it was something that seemed insurmountable to his birth parents. Perhaps it was his umbilical hernia and the high medical cost of correcting it. Maybe it was the economic status of his family…if they were poor, it could have been that they struggled to provide for his needs of nourishment and sustenance. It hurts this Momma’s heart to think of Silas’s birth Mom, who I’m sure loved him very much, having to leave him somewhere where he would be found, so that he could receive the basic necessities and medical care that he needed. I think too of the orphanage, who saved his life, when he was critically ill in the Winter of 2013, due to severe malnutrition. His file states that “the child was critically ill and the medical expense very high”. It also states that “the guarantee showed understanding” and consented to the medical intervention needed. How heavy are those words! But I’m grateful that God placed the right people in Silas’s life…dear ones that cared for him and loved him back to health, until such a time that we could lay claim to him and bring him home. We have an Orphan Care jar that sits atop our microwave. 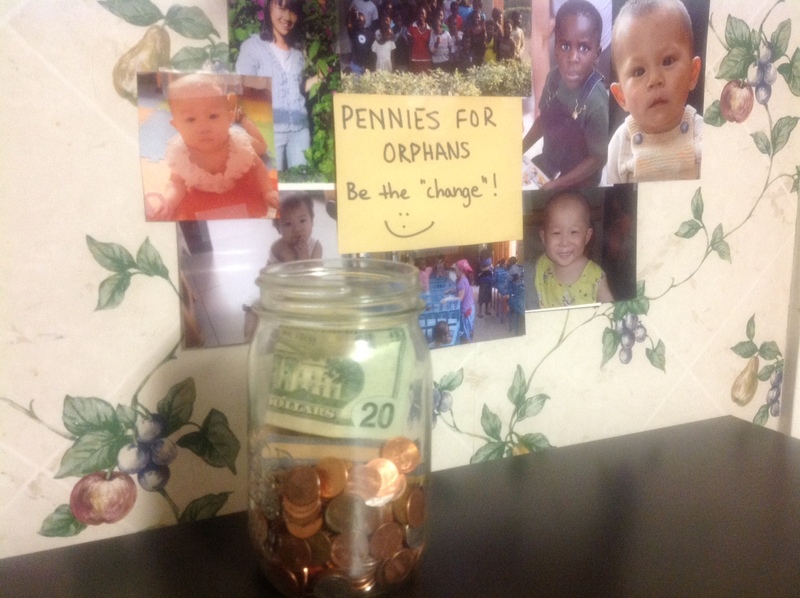 We deposit our leftover change in it all year long, and in years past, we have donated that money to the designated orphan initiative at Ninth and O Baptist’s VBS. Our kids are always super excited to see how much we’ve accumulated over the year, and are so proud to carry that jar in all together to give. This year though, they approached us with a different initiative in mind. They wanted to give it to us for our adoption of their brother, Silas James. At first we said, “No way! You guys always give that money to Ninth and O!” But they were adamant that they wanted it to go toward Silas, and we quickly realized that we were stealing their joy in being able to give it to what they wanted it to go toward. Just yesterday, I put a $20 bill in the jar. 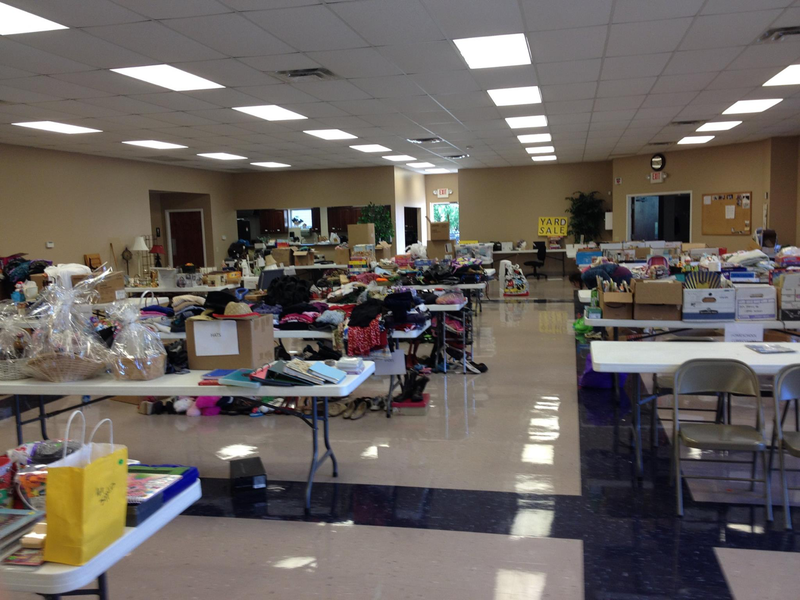 It was the first of many monies to be paid for some sold items that were donated to us to sell for our adoption. I looked at the $20 bill and pondered how that small $20 was going to have to somehow multiply into thousands upon thousands of dollars. Doubt filled my heart. But the Lord began to impress upon my remembrance the story of the fishes and loaves. And I, like Andrew, questioned the Lord. In the story, the Lord goes on to have the people sit, He breaks the bread, gives thanks to the Father, and the amazed (and surely humbled) disciples attest that, “This is truly the Prophet who is to come into the world”. The rest of *our* story spills over into today. 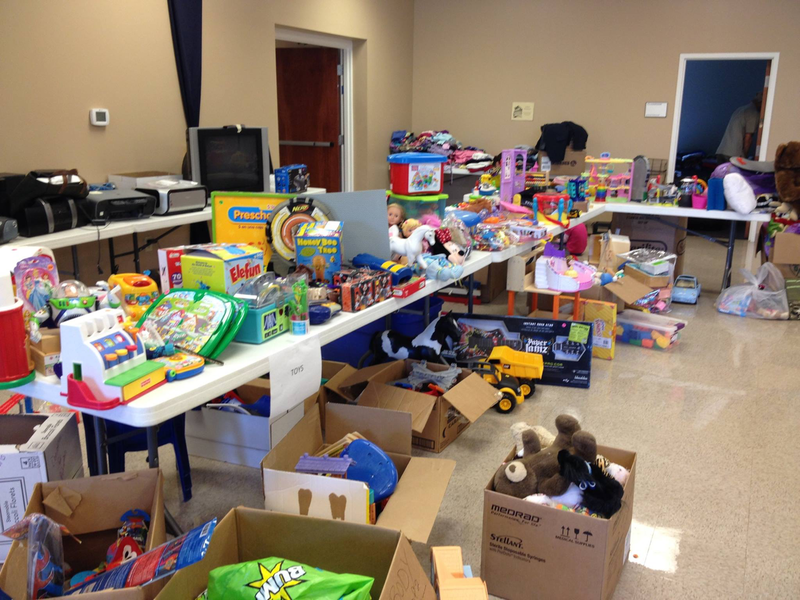 We have for several weeks now planned to attend an adoption conference in Elizabethtown. We knew they were intending to award ten adoption grants to pre-adoptive families and we had applied with the hope that we would somehow be one of those chosen families. Upon arriving at the conference, we quickly realized that much of the topics being touched on pertained to families that had not yet experienced adoption, and we began to wonder if we had made the right choice in coming. But we set our hearts aright in believing that perhaps the Lord had some other purpose in mind for us at this conference. Maybe we weren’t supposed to be there to be educated as much as we were to be encouragers and supporters of others’ journeys. Right before the lunch break, the lady that was officiating the conference saw me sitting alone (Rick had headed to the restroom) and struck up a conversation with me. She asked if I was enjoying the conference. I thanked her for all the time and effort she had put into orchestrating something of that magnitude. She asked if I was an adoptive parent, and I said yes, and told her about the girls’ adoption last year and the hope of bringing Silas home by the end of this year. A look of recognition came over her face and she asked, “Wait…aren’t you one of our grant applicants?” I got a little bit excited and said, “YES!” She asked me my name and when I told her, she began to explain how the process of whittling down the candidates from 50 families to 10 was excruciating…how each family was so deserving, and they wished they had enough money to award to all the worthy families. I realized in my heart…”Oh no! She’s trying to let me down easy! 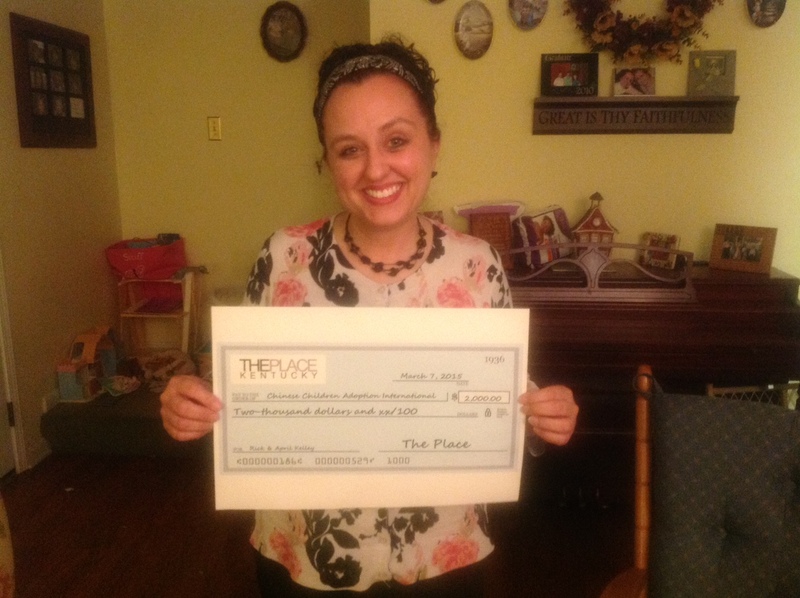 She’s explaining why she wanted to give us a grant, but couldn’t.” I was so deflated. It was almost mine and Rick’s sole topic over lunch…processing the let-down of a hoped-for grant that was not to be. 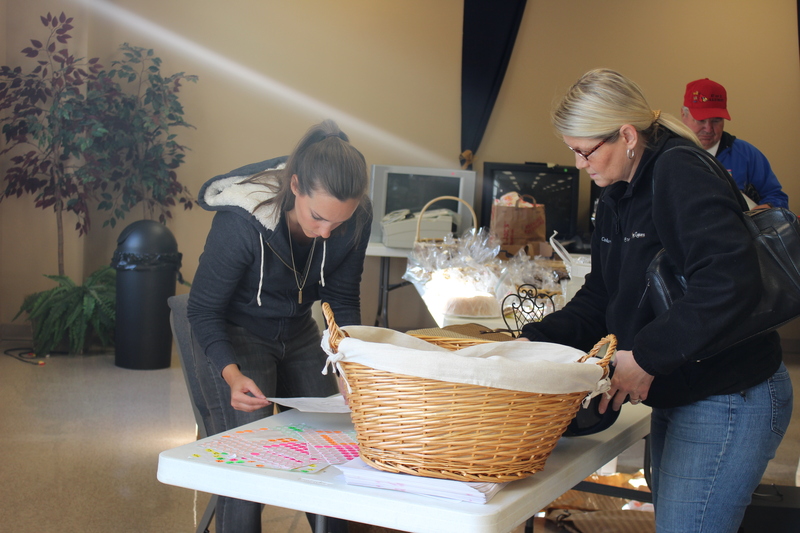 After lunch, we mailed off some items that we’d sold for Silas’s adoption, and then headed back to the church building for the remainder of the conference. We sat through two more sessions, both of which were excellent and well worth the drive and time spent listening. 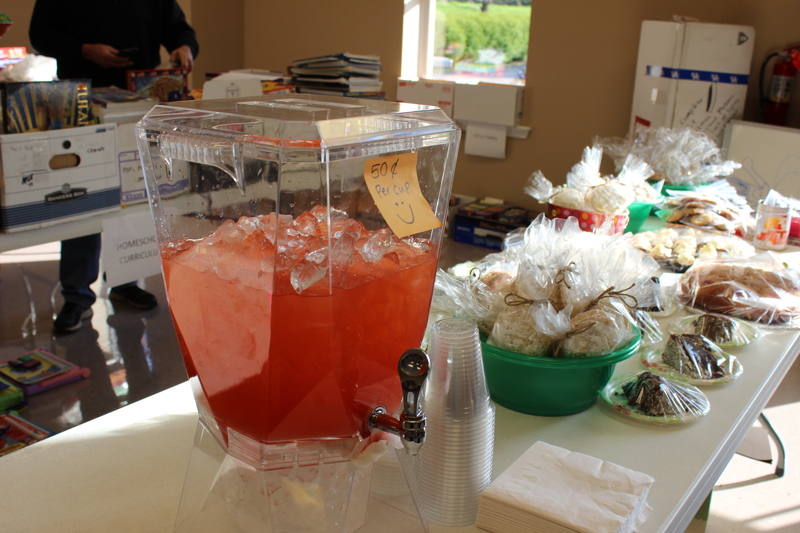 Then it was time for the grant presentations. They called up the first of the ten families, then the second. I was busy filling out my survey…things I thought they’d done well, and things that I felt could be improved for next year’s Adoption Summit. Then suddenly…I HEARD MINE AND RICK’S NAMES! And I couldn’t believe it! 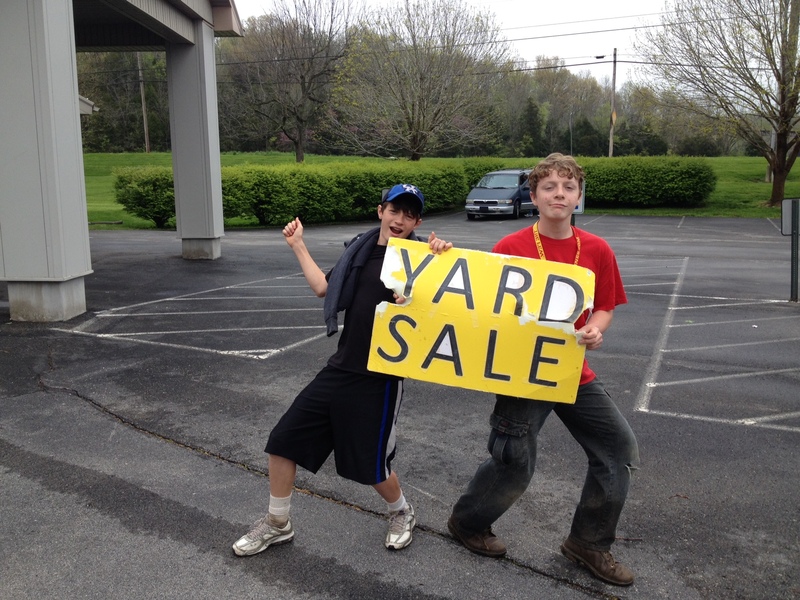 Rick and I both looked at each other incredulously….we had been CHOSEN!!! We walked up in a fog of disbelief and tears. She handed me the microphone and I remember having the quick, panicked thought of, “No! I don’t speak publicly!’ But when I tried to hand the microphone to Rick, he had tears running down his face and was waving off the microphone mouthing, “I can’t speak!” I put the microphone up to my lips and the words began to gush out…unrehearsed words, but words that were easy to form. Words of gratitude to that church for choosing us…words of shock, awe, and thankfulness to God for what He had done. I had doubted Him just the day before…and the very next day, He dropped a $2,000 grant into our unbelieving and undeserving laps. He multiplied our meager fish and loaves. The decision to say yes to adoption always begins one on a journey so full of faith and dependence, that we can scarcely look at the whole picture without being consumed with doubt. 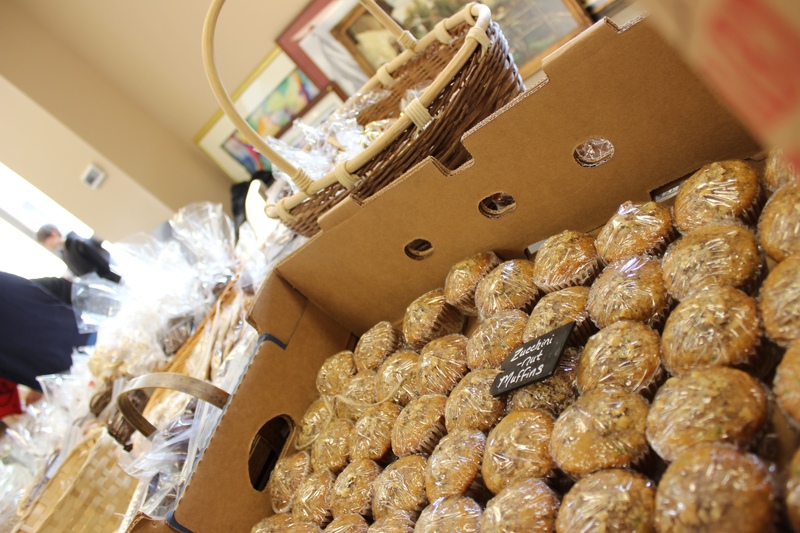 We must take it a piece at a time, lest we take our eyes off the One that was able to turn five loaves and two small fish into enough to feed thousands of hungry people with plenty of baskets left over. He’s also the One that has multiplied that $20 bill and some superfluous change into $2,000 in a single day!